Our family run business, established in 1991, now celebrates 26 years of successful trading in the kitchen industry. We are committed to sourcing the best quality products, for the best possible prices. This, coupled with our innovative design service and attention to detail, brings much of our business through recommendations and repeat business. 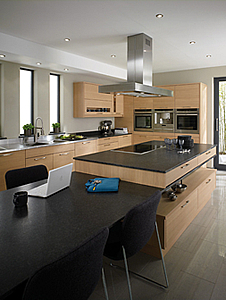 With our free, computer aided design service, you will see your kitchen or bedroom come to life, adding or removing as you go , until you are one hundred percent happy with the end design. Our teams, with their combined experience, aim to guide our clients through each process from selection to after sales, to ensure the finished project is exactly right for them. Every job brings us a new challenge, but our continued inspiration comes from the pleasure and delight our clients derive from their beautiful new space. Site Information: For Legal Information.